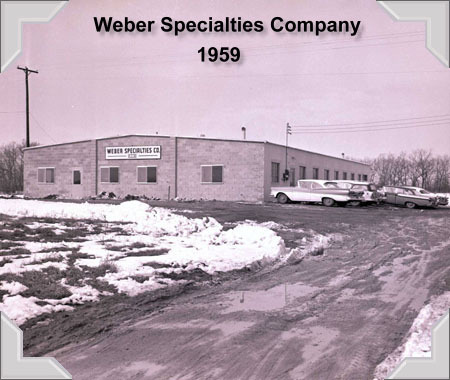 Weber Specialties is a 72 year old family business based in West Michigan. You will find our ownership is committed to our legacy as well as our future. Our continued investments in emerging technologies have allowed us to meet the ever changing needs of our customers. Weber Specialties offers our customers a one-stop shopping experience resulting in quality parts produced using optimal cost/manufacturability processes. To continually improve the workplace, promoting personal and company goals. Weber Specialties strives to provide a work environment that reflects the diverse nature of the communities in which we serve and operate. It is our belief and practice that diversity adds a critical ingredient to the workplace by exposing our employees to a wide variety of interests, backgrounds, and talents that cannot be ignored in today’s work environment. Additionally, Weber Specialties annually measures our vendor spending with the objective of increasing opportunities for Minority & Women Owned Business Enterprises.